How is the lower voltage on a transformer calculated? I was reading the data sheet for the LT8301 and laid on eyes on one of their example schematics. The input range (Vin) in the example states 2.7V-36V, and even gives measurements for when Vin = 5V. However, looking at the Sumida 12387-T041 inductor (T1) shows that the application voltage range on the primary size is 18V-42V. Presumably allowing less than 18V (i.e. Vin < 18V) enter the transformer is fine, otherwise Linear wouldn't give this example schematic. So this begs the question: how is the lower voltage limit calculated, and at what point does the transformer no longer functions (output power on the secondary becomes insignificant (I realize this is a bit ambiguous, but I can't figure out how to word it differently))? That lower voltage value is listed under the general heading "target application" and I'm sure if you dug deeper you'd find that target application and be able to show a circuit diagram then all would become obvious. It also says (under that target application) that the output voltage is 5V yet the LT circuit shows 15 volts so you need to dig a bit to find that circuit. Input voltage range is 2.7 volts to 36 volts and this averages about 19 volts so having 15 volts at the output is "about" right (generalisms used with caution of course) for the mid range of input DC voltage. She's the one at the back on the left and he's the one at the front calculating the duty cycle. 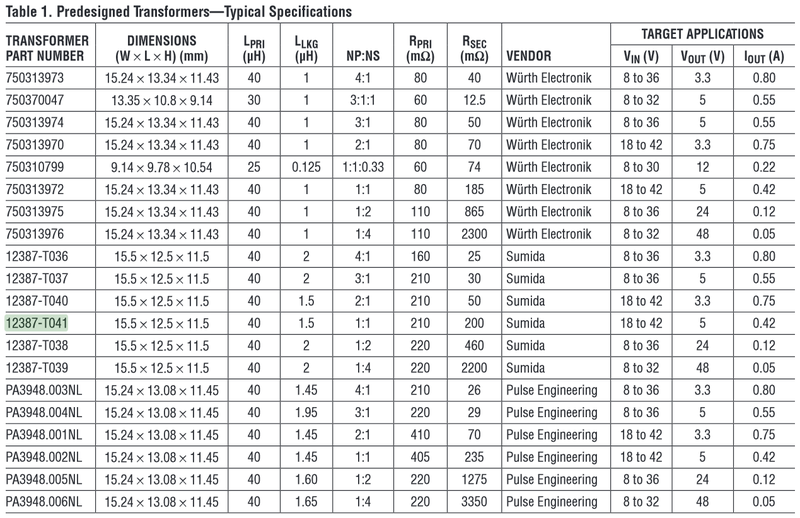 As Andy Aka pointed out, transformers function at any input voltage, even voltages well below the minimum spec voltage. If the physics don't impose a limit, then how do manufacturers calculate the minimum voltage on their transformers? I went and talked to a few FAE contacts I know and asked them how they calculated their minimum voltage ratings. Interestingly, no one had the same answer. It seems every company has a different method of qualifying their transformers, which confirms what Andy Aka was pointing out. The minimum input voltage is calculated in function of the highest input currents and longest duty cycles which maintain the output voltage within its desired range. The minimum input voltage calculation is dependent on the power supply topology which the transformer is intended to operate. That is to say, the minimum voltage is calculated for a specific SMPS topology. Figure the required output voltage and current, select the appropriate wire size for the output, and wind the output. Figure out the input voltage range I want to support. Run a simulation to see what the input current becomes for the highest duty cycle. If the input current is too high, either change my output voltage/current requirements, or increase the minimum input voltage. Otherwise, select the appropriate wire size and wind the input. This is just one method of calculating the minimum input voltage. 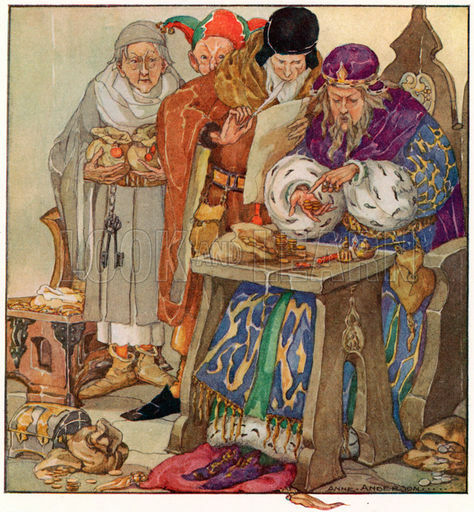 As I said before, every FAE I talked with had a different method (some didn't even know). Not the answer you're looking for? Browse other questions tagged power-supply voltage transformer switch-mode-power-supply or ask your own question. How to reduce voltage without using Transformer? transformer has continuity but no voltage output? How can be calculated the open circuit power test on this transformer?